I haven’t write any articles about bubble tea kiosk recently . 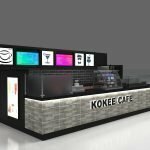 Today i m going to share a very nice tea kiosk design for mall. No more superfluous words， Let’s see the design first. 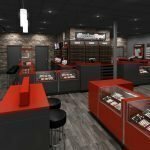 As you can see from the 3D rendering . 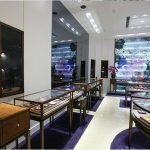 Whole concept is purple that’s to corresponding to customer LOGO and brand ideas. 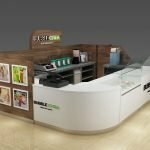 because the kiosk is build with irregular size and organic shpe. So normal material can not achieve the effect. There a new material call onyx come into our sight. Onyx is a man made stone material. This stone have a very good light through character. and widely used in luxury room and space decoration . 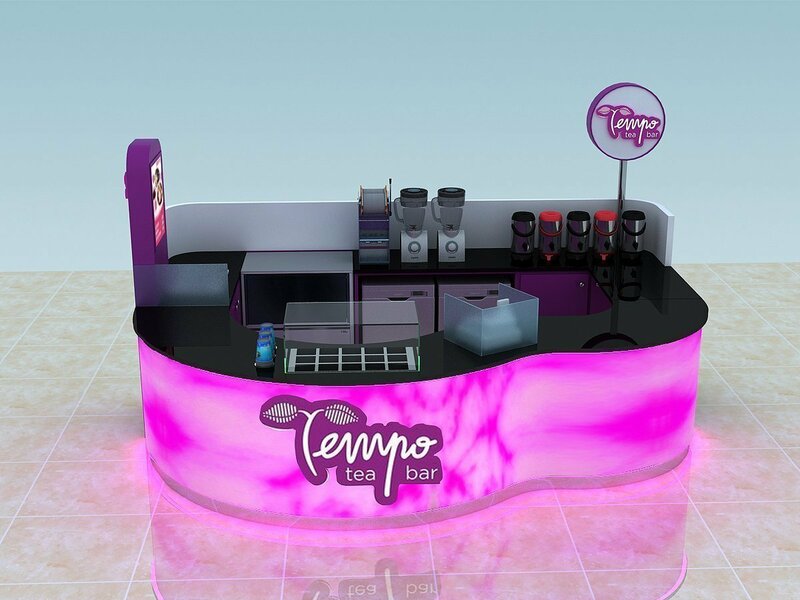 Designer used onyx on this tea kiosk design is really a genus job . 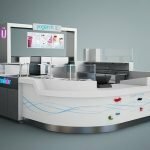 This concept can also adapt into a candy display kiosk or elegant brow threading bar. professional 3D MAX design team for you to get what you want. factory wholesale low competitive price with superior high top quality. secure safe package makes no damages during the delivery. various payment terms for you to choose. Here blow are finished images in our factory. Because always some one is scan our site and copy our design . So we just show little photo here . 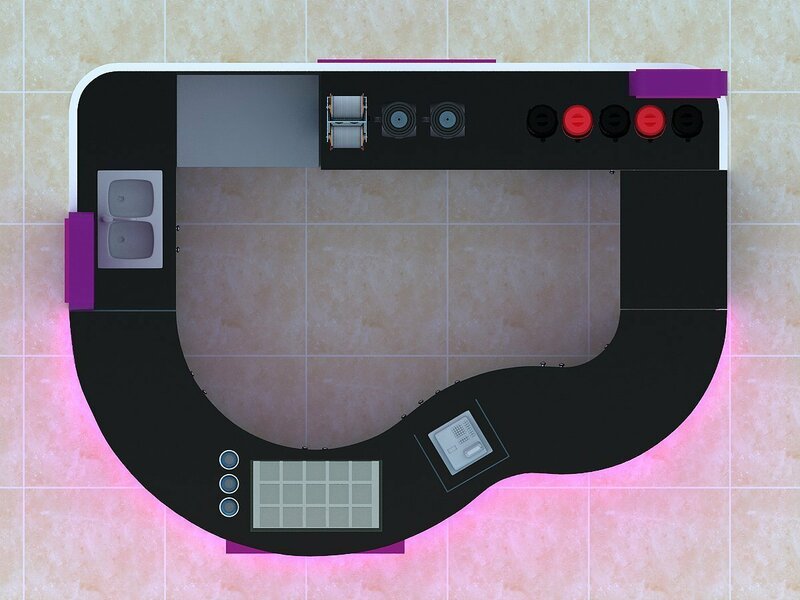 If you want to see more different views of the kiosk .Please contact our sales team. 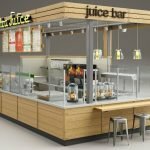 Why choose Unique kiosk build your juice tea kiosk ? 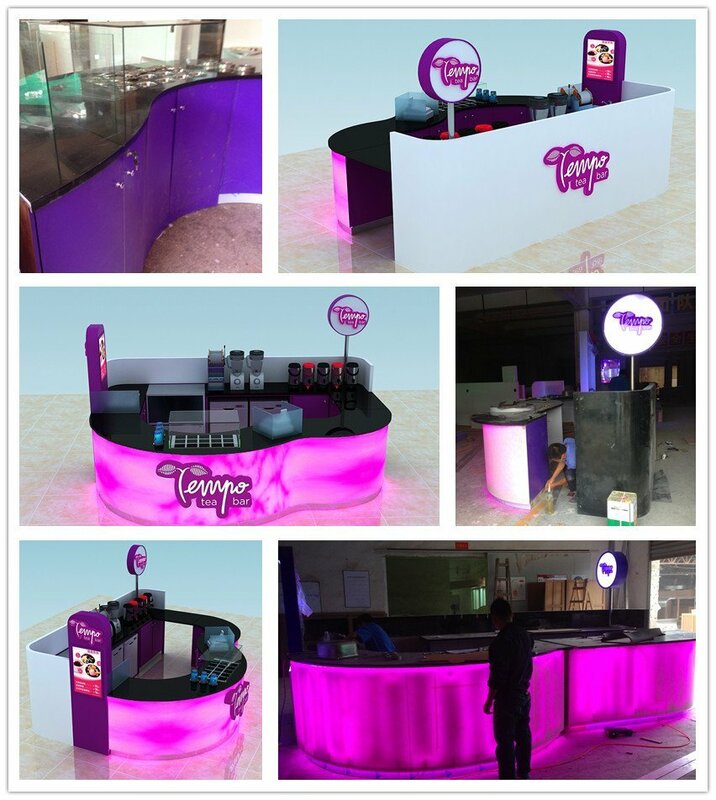 D.Free design for Fruit juice vegetable kiosk and bubble tea stands design for sale.